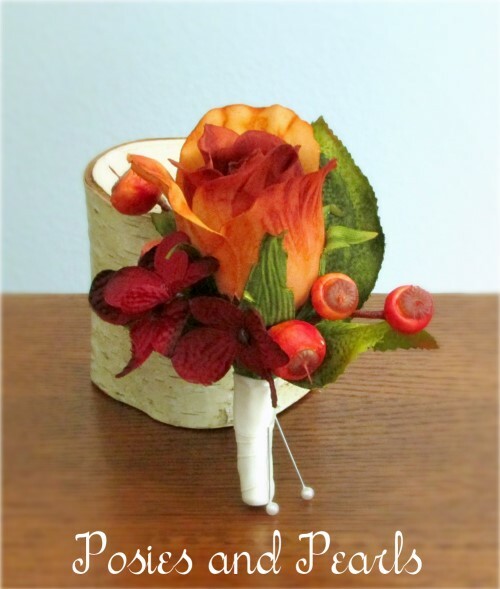 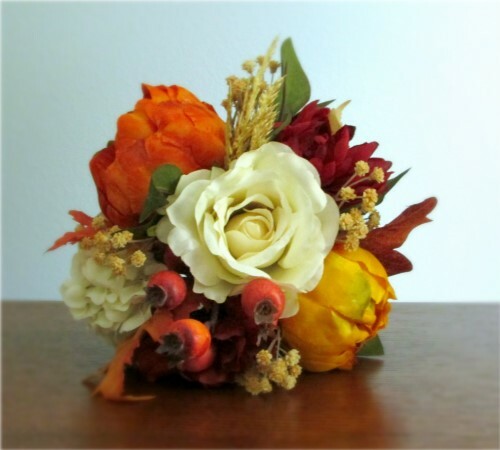 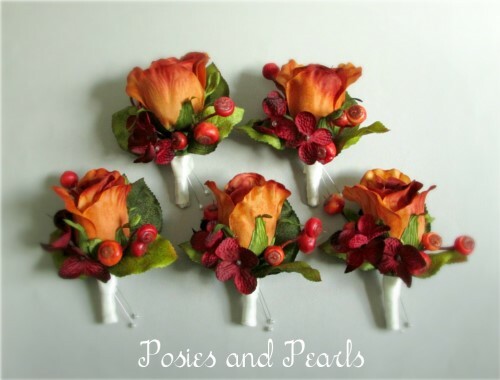 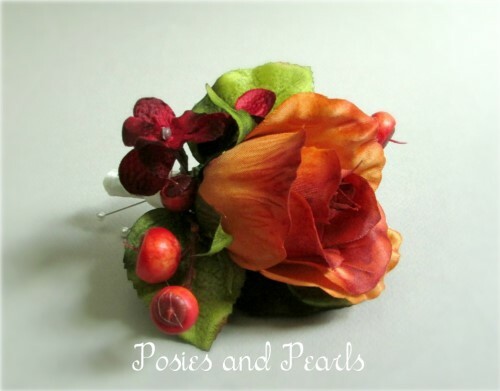 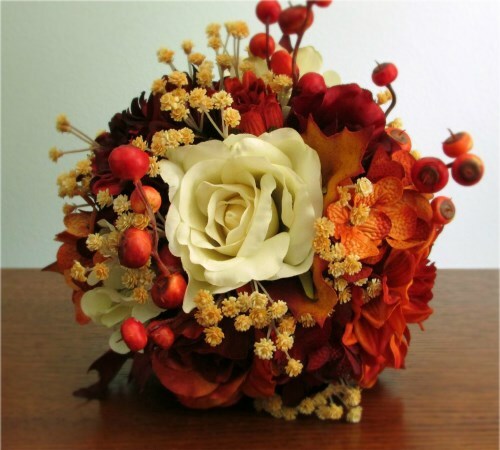 Single silk rose boutonniere in a lovely burnt orange shade accented with burgundy red hydrangea blossoms, rose hip berries, and leaves. Smooth ivory satin wraps the stems as the finishing touch. 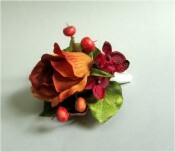 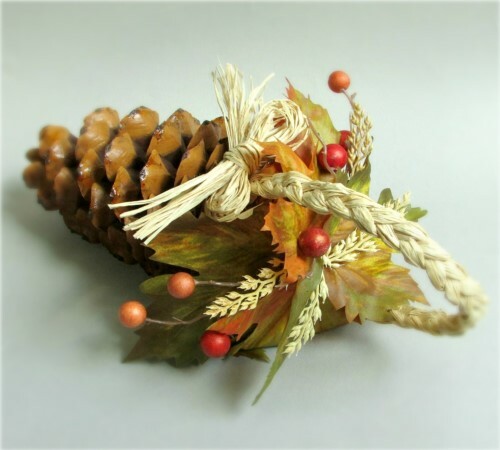 If you would like to purchase more than 6 boutonnieres, please contact me and I will be happy to help you.